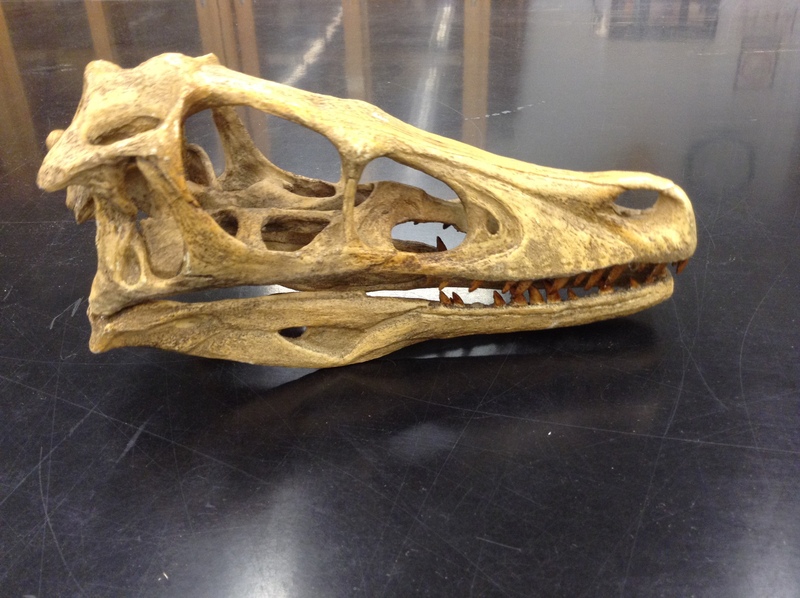 When we receive queries for identification of skulls or specimens, we turn to our large specimen collection to find those that look similar and may help in the identification process. 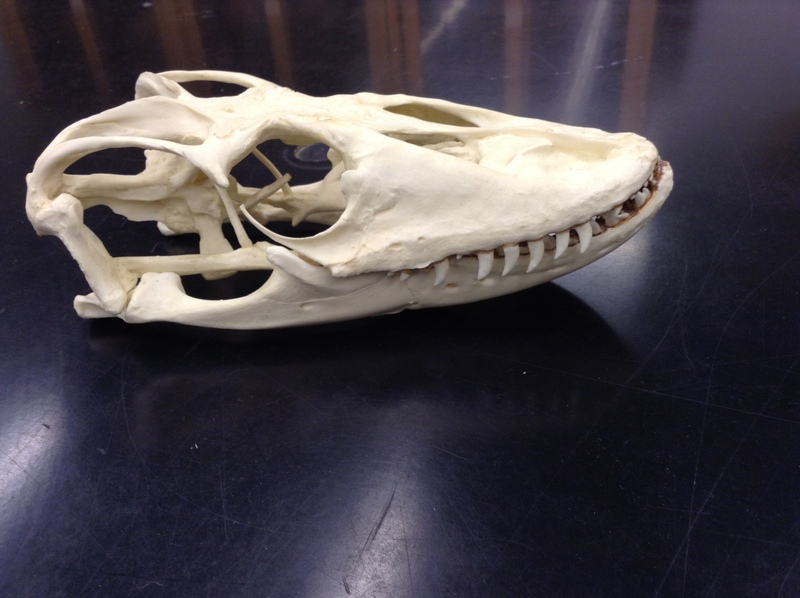 Among other osteological features we can look at the proportions of the skull, along with the size, number and spacing of the teeth. 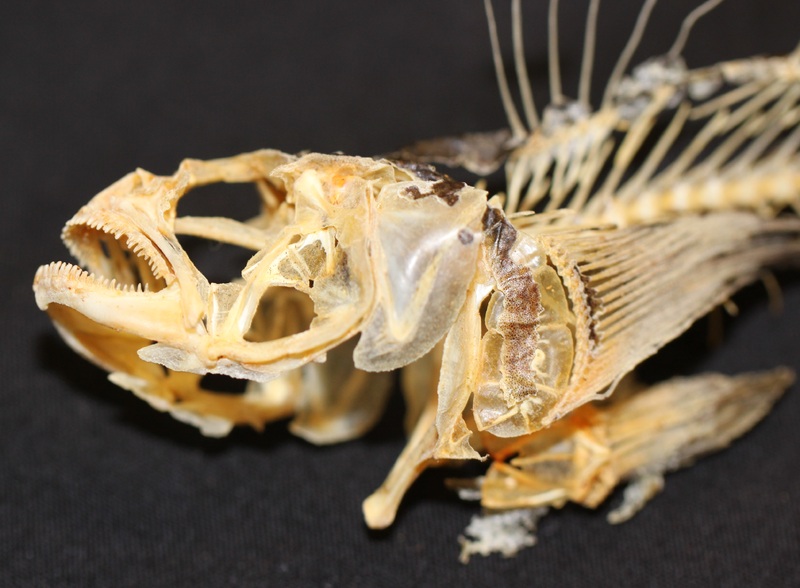 All these features of a recently received picture of a specimen in question led me to suspect that the specimen is foreign to the Great Lakes, and based on the very small size of the specimen I suspected that it may be a Round Goby. Following I will show you some of the specimens I looked at to bolster my conclusion. Note the width of the skull, and the abundance and spacing of the teeth on this specimen. 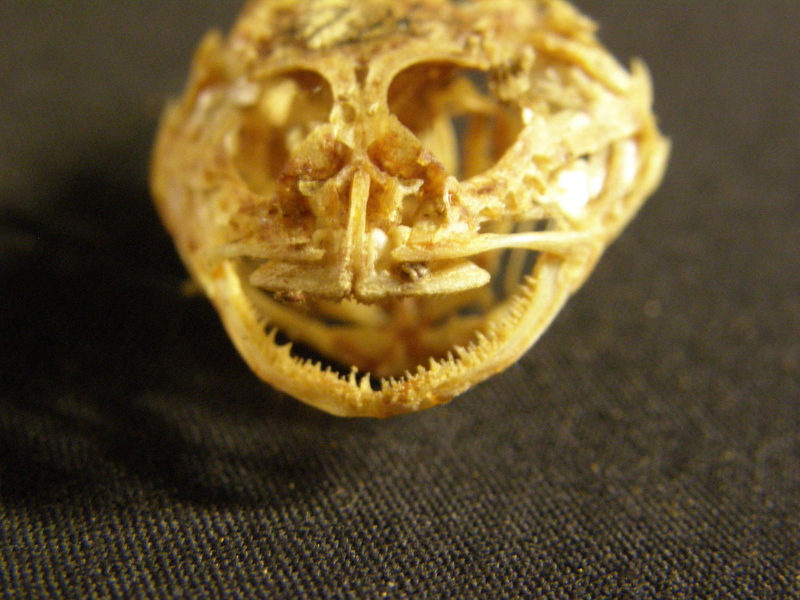 The species that I considered to have the skull that would most closely match the proportions of the putative goby skull was the Central Mottled Sculpin. 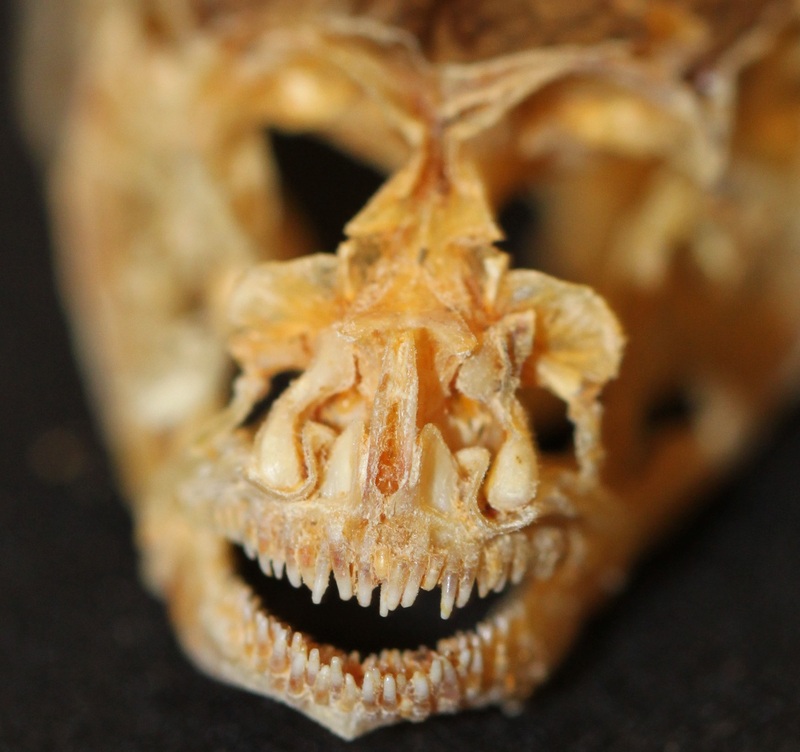 But here you can see that the head of the Mottled Sculpin is actually wider than, and the teeth proportionally not as large as those of the Round Goby (there are several other skeletal differences but those sufficed for this diagnosis). There are several native fish that are carnivorous and have caniniform or cardiform (small, numerous and closely spaced) teeth that I mused over, but as you can see almost all of those have much narrower skulls and/or have shorter, fewer and more widely spaced teeth than the skull in question. 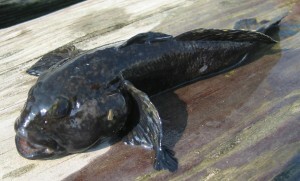 Note: The Sauger, very close in appearance to the Walleye, was once abundant in Lake Erie but is now caught very seldom in the lake and its tributaries. As you can see there is nothing quite like the Round Goby among our native species, and we should no doubt be thankful for that! Let us hope that the situation remains the same, and in the meantime, if you find a good use for these little monsters feel free to apply it and let us know your ideas. Do you love dinosaurs? Many of us grew up in the shadow of Jurassic Park Mania, and went through a dino-crazed phase during our childhood. 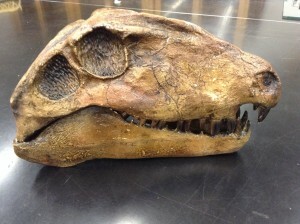 Still, can you identify a dinosaur when you see one? There seems to be a lack of public awareness of what is actually classified under the label of Dinosauria. Test your knowledge with this tetrapod skull ID quiz and check your answers below. The truth may surprise you! We would love to get comments from you. Which of these skulls is the most challenging? 1. Dinosaur or not a dinosaur? 2. Dinosaur or not a dinosaur? 3. Dinosaur or not a dinosaur? 4. Dinosaur or not a dinosaur? 5. Dinosaur or not a dinosaur? 6. Dinosaur or not a dinosaur? 7. Dinosaur or not a dinosaur? 8. Dinosaur or not a dinosaur? 9. 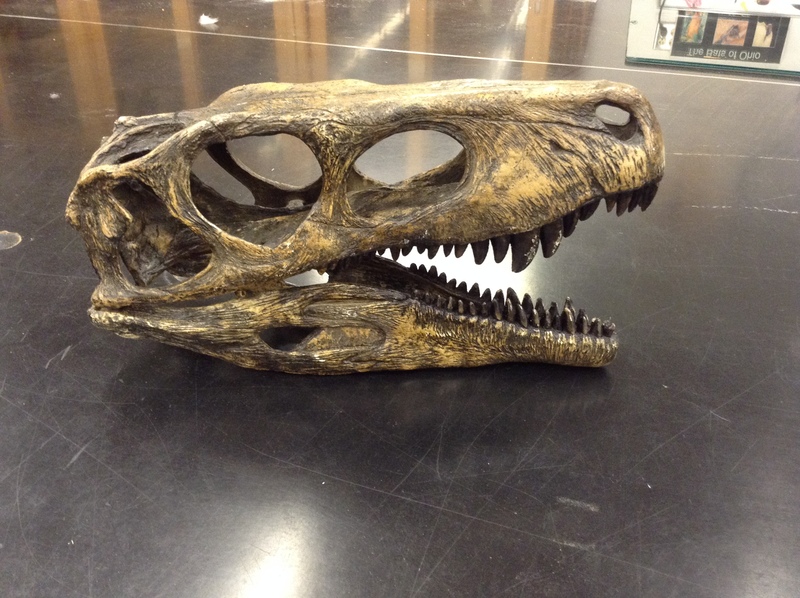 And finally, dinosaur or not a dinosaur? 2) No! 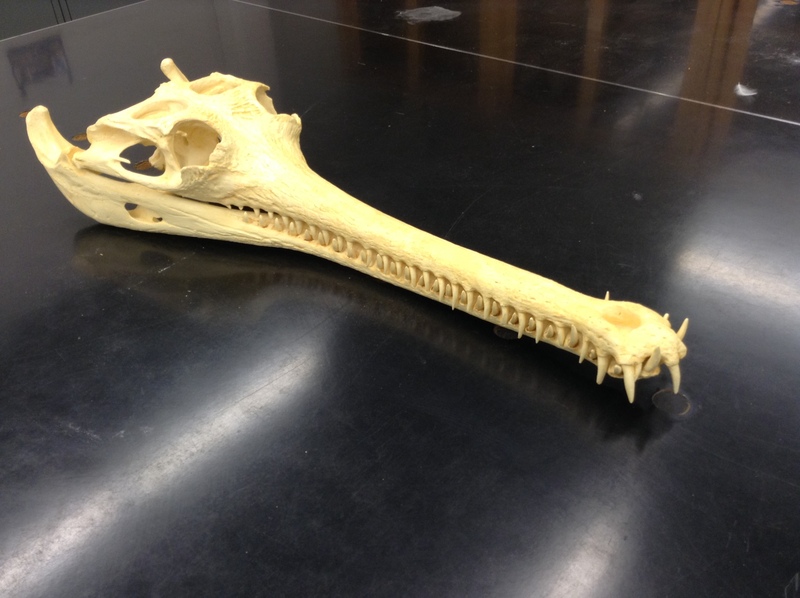 This meter-long skull is from the living crocodilian, Gavialis gangeticus, or gharial. Gharials can be easily distinguished from crocodiles and alligators by their incredibly thin jaws, which are an adaptation for catching fish. 3) Yes! This skull is from the Keel-billed Toucan (Ramphastos sulfuratus), a colorful Latin American member of the toucan family Ramphastidae. 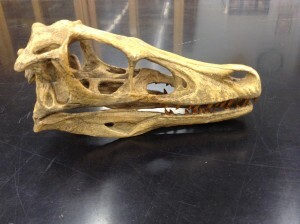 Living birds comprise the only extant members of the dinosaur family tree. 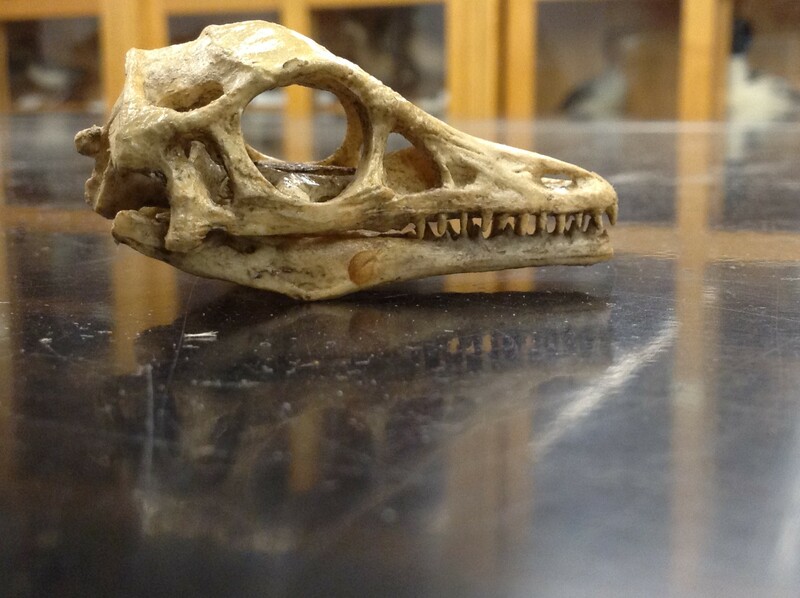 Dinosaurs are not really extinct at all, there are approximately 10,000 species of living birds. 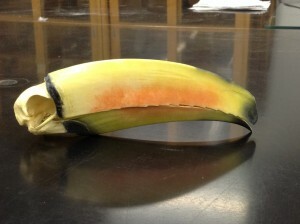 Keel-billed Toucans may seem to have cumbersome bills, but they are surprisingly lightweight and useful for thermoregulation. 4) No! This skull belongs to the early synapsid of the Permian period, Dimetrodon. Dimetrodon is often (mistakenly) labeled as a dinosaur in the popular media. 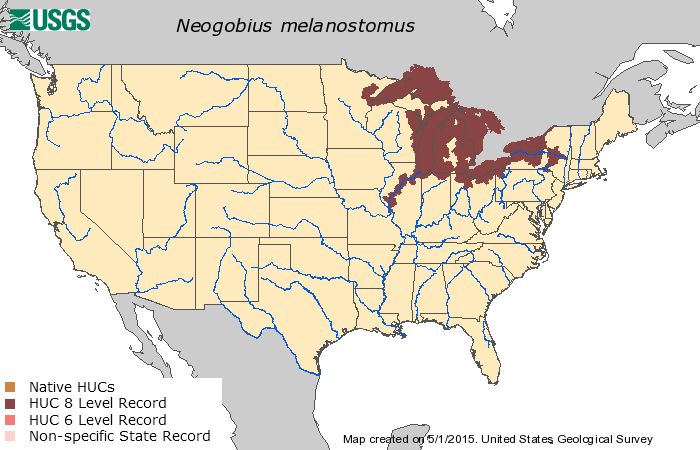 In fact, Dimetrodon is a member of the lineage that eventually lead to mammals. So, as mammals, we humans are far closer relatives of Dimetrodon, than Dimetrodon is of any dinosaur. 5) Yes! This skull is from the late Jurassic dinosaur, Archaeopteryx . Often recognized as the “first bird,” Archaeopteryx was actually just one of many feathered, fluffy, winged dinosaurs that flitted around the forests of the Jurassic. Though probably not as well as modern birds, it is thought that Archaeopteryx was capable of briefly-sustained flight. 6) No! This is the skull of the rhinoceros iguana (Cyclura cornuta), a species of lizard in the family Iguanidae. 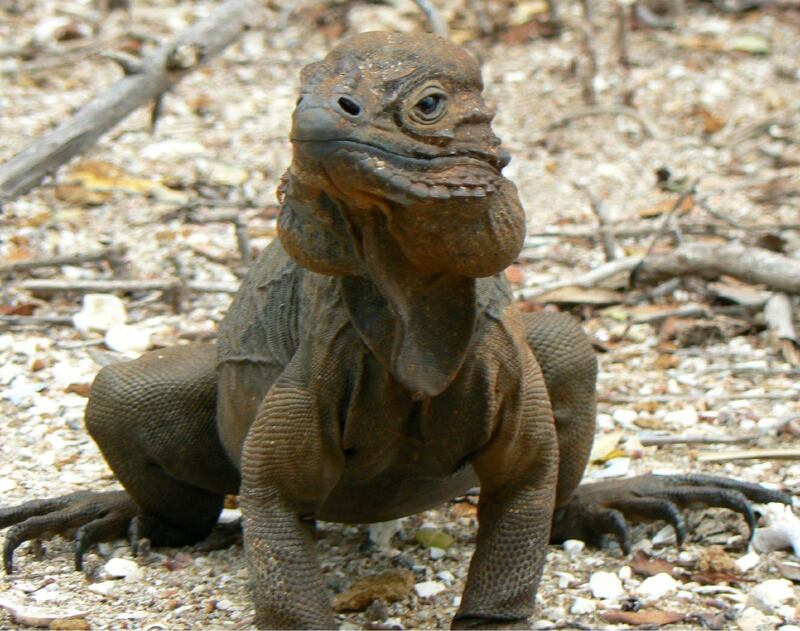 Rhinoceros iguanas live on the island of Hispaniola, where they can reach up to 54 inches in length. 7) No! 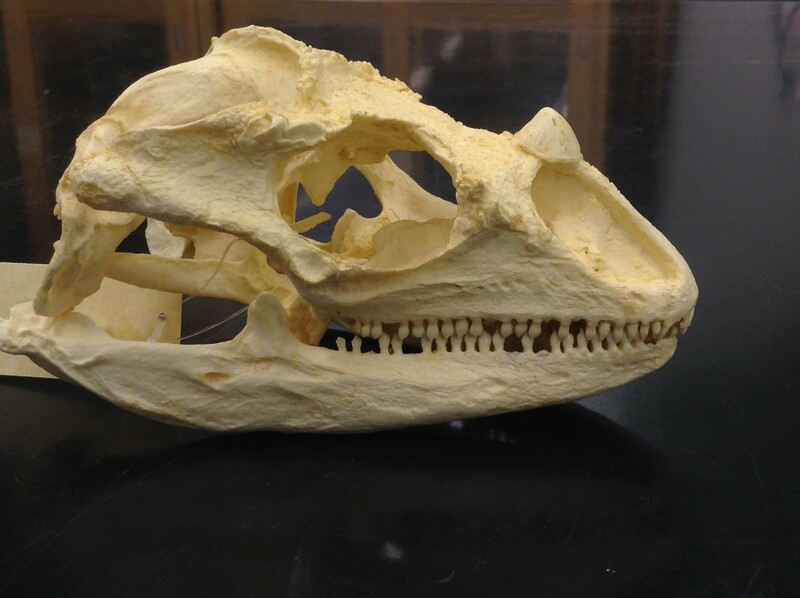 This skull is the skull of a Komodo dragon, Varanus komodoensis, a species of lizard in the monitor lizard family Varanidae. Komodo dragons are the largest living lizards. They reach lengths of up to 10 feet! These large lizards have been known to prey upon water buffaloes. 8) Yes! 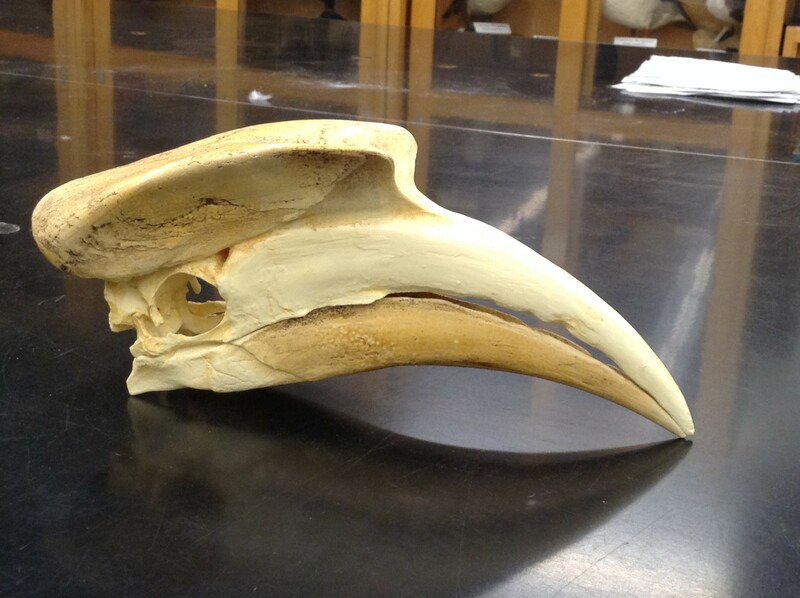 This is the skull of the Great Hornbill, Buceros bicornis. 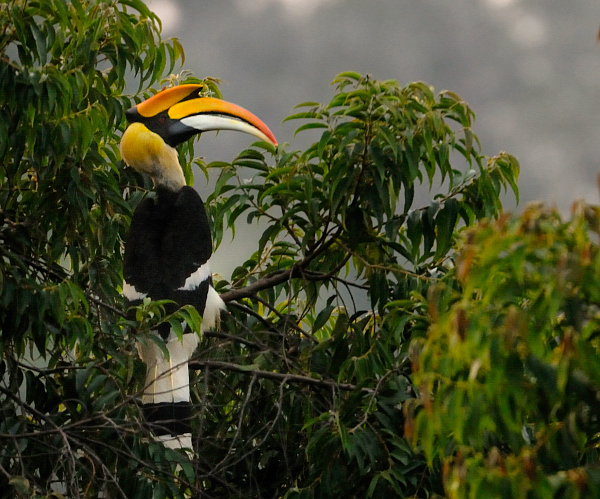 Great hornbills are large, mostly frugivorous birds of South Asia in the family Bucerotidae. Like many extinct dinosaurs, hornbills possess seemingly-bizarre head ornamentation that is only present in adult individuals. 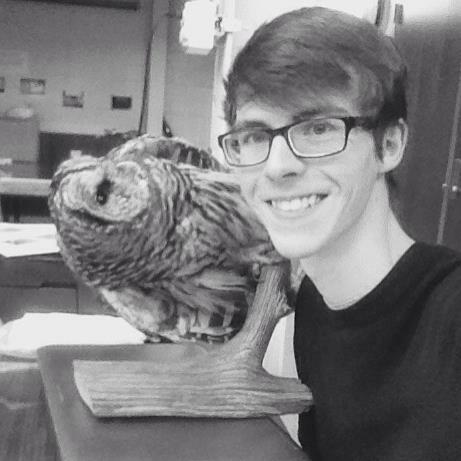 About The Author: Grant Terrell is a second year student in Evolution and Ecology at The Ohio State University. 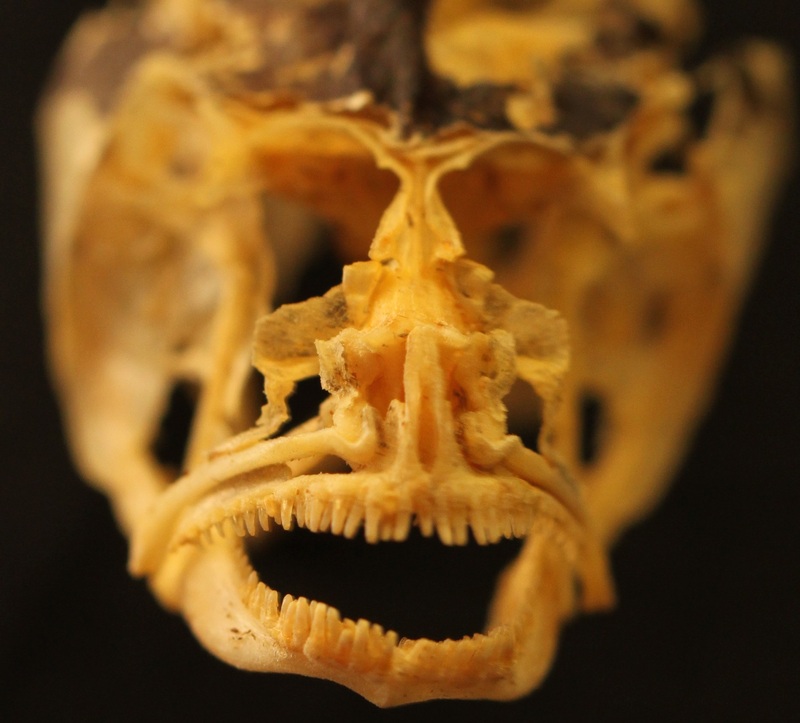 He works as a research assistant in the Tetrapod Collection at The Museum of Biological Diversity.